The Wild Feathers are a truly American band: their music takes elements of the best of rock, country, folk and blues music and reshapes it in a way that is both unique and modern. Ricky Young, Joel King, Taylor Burns and Preston Wimberly grew up steeped in music; playing solo gigs, touring with local bands and working at venues. The guys came together in Austin in 2010 through coincidence, mutual friends, and a shared love of the classics: Petty, Dylan, Cash, The Band, Allman Bros, Neil Young and Willie Nelson. The young band spent the next year writing and defining their sound before heading into the studio to record with producer Jay Joyce (the Wallflowers, Emmylou Harris). 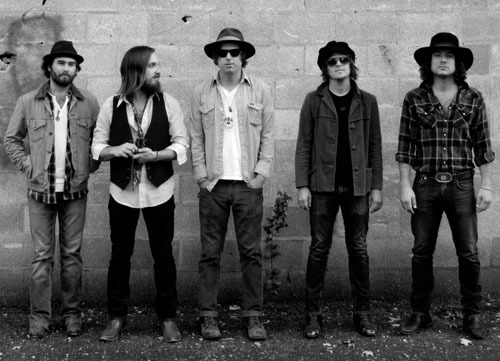 Now based in Nashville, The Wild Feathers have spent little time at home this year. With the addition of drummer Ben Dumas, they’ve been touring steadily throughout the south and on the heels of a marathon nine performances at this year’s SXSW the band did a run with country’s Kip Moore. They will be opening for Bob Dylan on two very special dates before heading out with Ryan Bingham. Full tour dates are below.